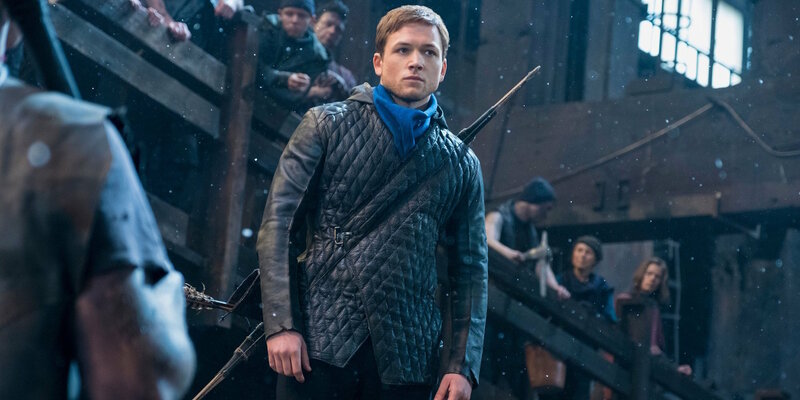 The legendary outlaw thief gets a cinematic upgrade as Liongate / Summit Entertainment releases the official teaser trailer for their upcoming film Robin Hood. View trailer below. Well, after seeing this teaser trailer for the film, I’ll have to admit that i initial have mixed feelings about this new iteration of Robin Hood. On the positive side, i do love the cast (Egerton, Foxx, Mendelsohn, etc) and i do absolutely love the story of Robin Hood. However, that being said, this movie looks like its trying to be too flashy. To me, i sort of reminds me of 2017’s King Arthur: The Legend of the Sword, a film that took a famous legendary tale and tried to make it edgy and comic, but failed to produced something worth caring about let alone being entertaining. Given what’s presented in this teaser trailer, I have feeling that Robin Hood might go down the very same path, which is a bit disappointing. Still, let’s hope that I am wrong. Nice post. It does not look like Robin Hood to me or, rather, does not like a traditional story of Robin Hood that I always thought I knew. I am a bit surprised they are doing something with Robin Hood again. I have to say it feels like yesterday Russell Crowe starred in Robin Hood (2010) alongside Blanchett. Absolutely agreed. Doesn’t feel like Robin Hood at all. And my first reaction to seeing this post was “huh? Robin Hood again? We’ve only just had it…again”. Hmmm….I’ll probably give this one a miss. As Jason says, the cast is great but this trailer really looks too much like Arrow went from a series to a movie. Somehow doesn’t “feel” right. Oh well…maybe just publicity – we may be surprised. throughallsorts……i also agree with you as well. It kind of feels like something out of the Arrowverse. Too much flashy action and showmanship stunts. Your comment seems to be on par with my thoughts as i have a feeling that this movie will end up being like 2017’s King Arthur (a great cast, but a horrible executed film), which is so disappointing. dbmovieblog…..totally agree with you. It really doesn’t even feel like Robin Hood (at least not in the traditional sense). 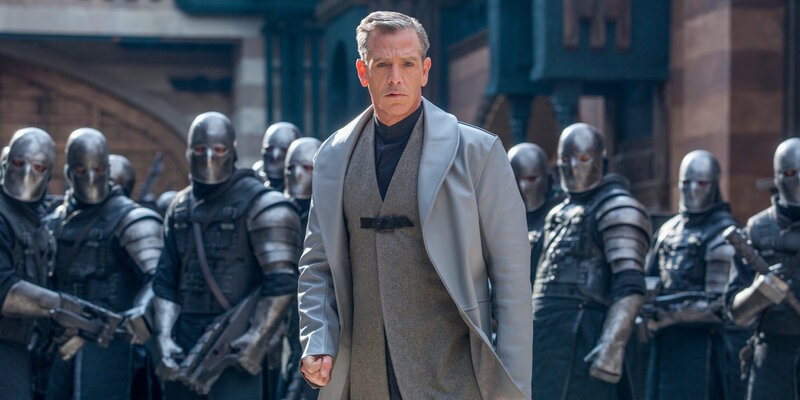 I too am surprised that they are revamping Robin Hood once again and you’re right….it felt just like yesterday that Ridley Scott releases his version of Robin Hood (the movie was okay, but would’ve rather seeing a traditional story rather than a prequel tale). Yeah, it doesn’t really look too good. It’s also written by the guy behind “King Arthur”, so I think you’re correct assuming it’s going to be similar in quality. Haha…is it really? Wow….damn. That’s not a good sign. That’s disappointing to hear. Like i said, i do like a lot of the cast (much like I did with King Arthur), so that’s not good for this Robin Hood movie. Guess I’ll be that guy who will ride with Legend of the Sword and claim it gets too much hate. Little messy, but Ritchie’s style added to a lot and rarely do movies feel epic in the way LotS did (one of my favorites scores of last year too by Pemberton helped in that regard). Kind of bummed we’ll never get a sequel, but those types of movies and properties typically fail in the US unless it’s GoT or LotR. As for Robin Hood, won’t watch the trailer until I have to. I don’t like going out of my way anymore to view trailers for their propensity to spoil a ton, but from the screenshots, I don’t have super high hopes. Maybe my low expectations will surprise me. Haha…well at least you liked Legend of the Sword, which means you might like this new iteration of Robin Hood. Ritche’s style is pretty good (i like what he did with Sherlock Holmes movies), but I just didn’t like what he did with King Arthur. As for Robin Hood, all the unnecessary changes is probably gonna hurt the film. Personally, I would’ve liked to see an original (more traditional) Robin Hood story. I’ll agree with the others that it doesn’t look like Robin Hood to me. I’m not understanding why so many movies as of late have to be trilogies, reboots, remakes, based on video games, or based on familiar characters. The lack of original content or thought is discouraging. It’s also why at home I watch more foreign films than I do ones from Hollywood. They are just good movies without all the forced connections with characters or worlds. I saw the trailer to this yesterday and I thought for a moment I’d dropped into the Arrowverse….what is with the firing the bow while falling??? Straight out of the Green Arrow training school…..not sure if I’ll see it either…as I felt it didn’t bring anything new to the Robin Hood saga – apart from turning him into a Green Arrow….perhaps he was the first?? ?